It’s good to have a goal. Goals help us work toward an achievement and leave us with a sense of celebration. It’s also fun to tie a goal to a significant event in life. I can’t remember how I have acknowledged each of the first 64 birthdays, but 65 was different. I remember that milestone, the goal – and achievement – of qualifying for and participating in the National Senior Games. But, here I am already at 66. What to set as a memorable goal? Route 66 popped into my mind. Not too crazy, not crazy enough to run the entire 2,000 miles. 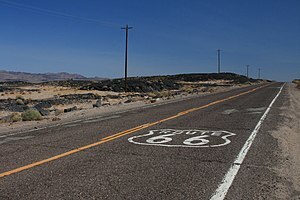 But why not in my 66th year a goal to run 66 miles of races on or near the Historic Route 66? I pulled up a Route 66 map off google and let my travel bug out for a mad crawl. As my fingers traced the bright line on the map, I saw that I have friends and relatives in a number of states along the route. Won’t they be surprised to see me. I let the idea simmer for a week or two. Then, one day I walked through the doors of my local library and what did I see on the “recently acquired” rack? 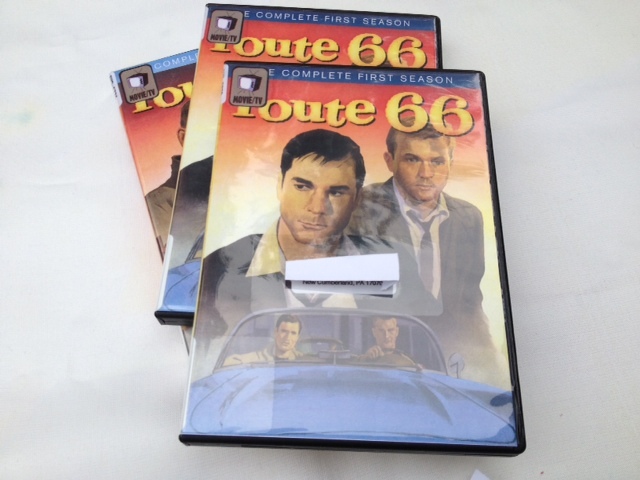 It was a full set of DVD’s with the entire three seasons of the 1960’2 television series, Route 66. The first few bars of that Nelson Riddle composition began playing in my head. I checked out the first two sets and made an evening of it, setting off once again on Route 66 along with Buzz and Tod and that red Corvette. I’m scribbling notes and ideas to flush out the plan. 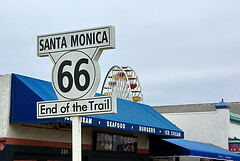 Historic Route 66 travels through six states and stretches from Chicago to Los Angeles where it ends at the Pacific Ocean. There is much research to be done to 1) find races that are on or near Route 66, and then 2) select those that logistically fit my schedule and training. The runners I know come up with some unusual running goals. I’m thinking I am not the first 66-year old runner to dream up such a plan. So, my dear, knowledgable running friends, have you run races on or within five or six miles of Route 66, or are you located near any that you would recommend? And as for my friends and relatives near Route 66, keep the porch light on for me. 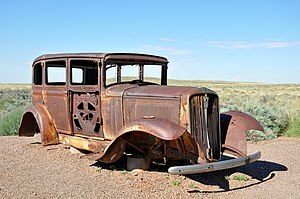 English: 1931 Studebaker sedan commemorating U.S. Route 66, a decommissioned transcontinental highway, where it passed through Petrified Forest National Park in northeastern Arizona, United States (Photo credit: Wikipedia) With any luck I will weather the route better than this Studebaker. A respite in Quebec’s Laurentian Mountains easily wrapped the beautiful outdoors around this willing traveler. Running was easily meshed with good food to satisfy a runner’s body and palate, outdoor activities for continued good health, and outdoor cultural events that inspire. Here is the sampling of what I found – or rather what found me, during a brief stay. In a Lolë shop browsing through their active women’s sports- wear, I spotted a flyer announcing a free Sunday morning yoga class on the mountain. I joined 100+ participants stretched out on mats in an open-air class instructed by Dawn Mauricio and accompanied by two wonderful musicians. Lunch-Time Runs sponsored by Rona complete with trainers in the lead were offered in the weeks leading up to the Mont-Tremblant demi-marathon. I took advantage of a couple of runs, picked up some training and nutrition tips and enjoyed running with local runners. 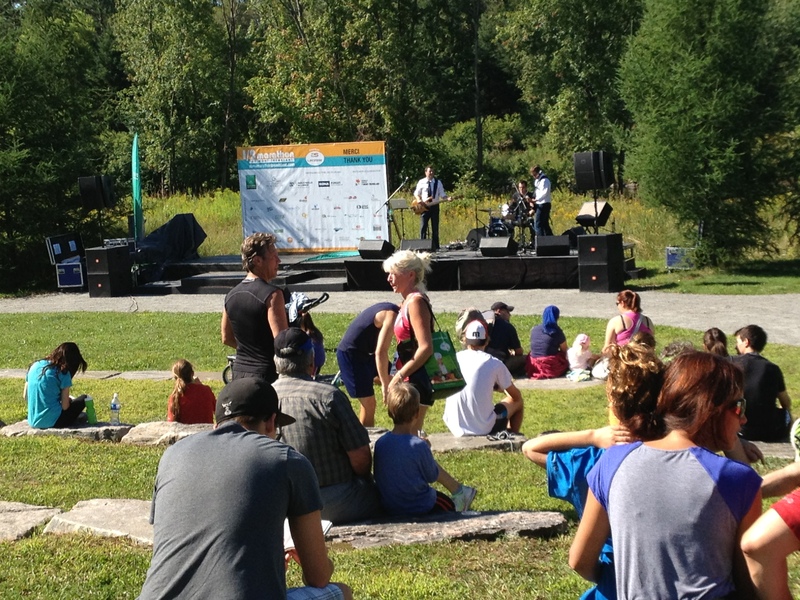 Mont-Tremblant Jazzfest overlapped with the demi-marathon weekend. On a beautiful Saturday afternoon after picking up my race packet at the expo, we returned through the jazz lounge tent set up on a side street in Saint-Jovite. The Jean-François Groulx Trio was playing. With all the seats filled, my race packet became my seat cushion as we found a spot on the curb and settled in to stay for the set. 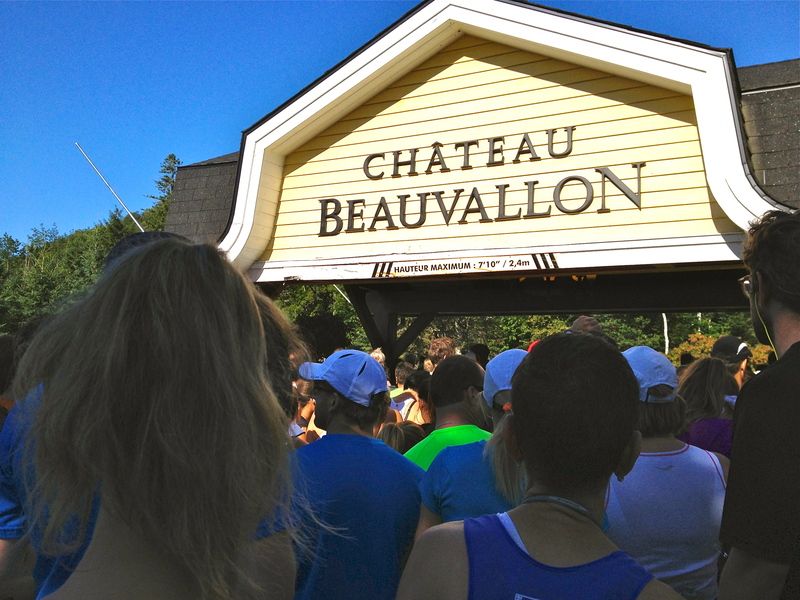 10K Race I jogged a couple miles to the bus pickup where runners were transported to the race start at Chateau Beauvallon. It was great to see some familiar faces from our lunch hour runs. After the point-to-point 10K on a slightly downhill road, a bit of trail, and a couple of moderate hills, we reach the finish to find a large, cheering crowd. 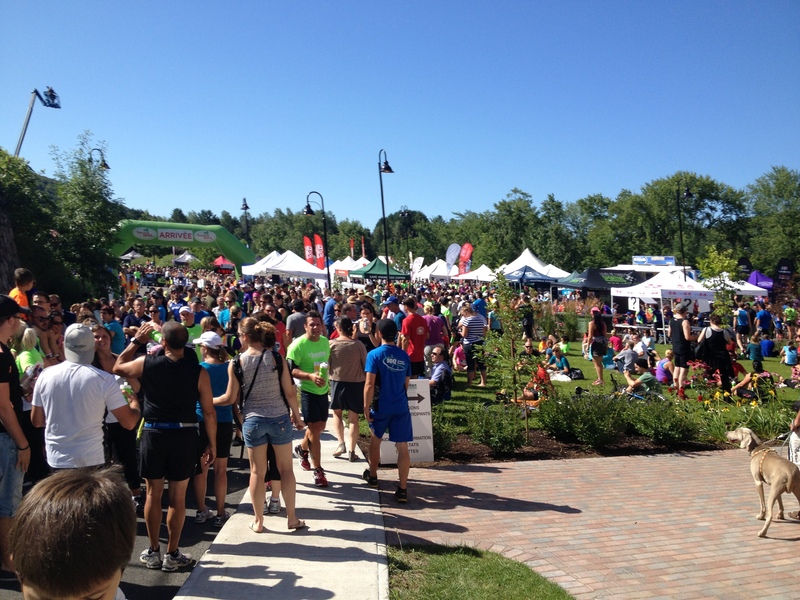 As it turns out, the Mont-Tremblant demi-marathon has become a sizable event. After cooling down, I found my way to the runner’s lunch line. Here, I spotted a gentleman in a white chef jacket directing the food staff, the first clue that this would not be the typical bagel and banana post-race food. 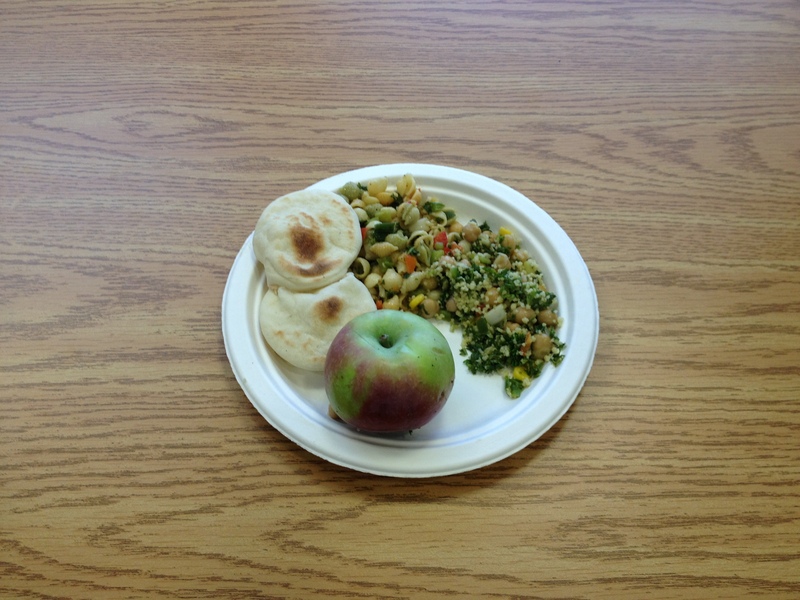 Runners were served a beautifully arranged plate of two salads, a coucous with the aroma of freshly-cut parsley rising from the plate and a pasta salad with chopped fresh vegetables, and mini-pitas sitting atop a delicious hummus. I’m thinking this is a beautiful vegetarian runner lunch, but then we are directed into another line. Here we were served an incredibly large (think Fred Flinstone) barbequed turkey leg. I doubted I could eat it all, but of course I didn’t waste a single succulent bite. A beautifully prepared runner lunch, a variety of expo tents, live entertainment and now it’s time to go home. Post Mont-Tremblant 10K Musing – Was it that Jacqueline Gareau? Like any dedicated age-group runner, I generally take a morning-after look at the on-line results from my week-end race. I first briefly scan the top overall and masters results. Then on to the real interest area – my age group results: who turned up in my AG, their times in comparison to mine, etc. This was exactly my morning musing yesterday. 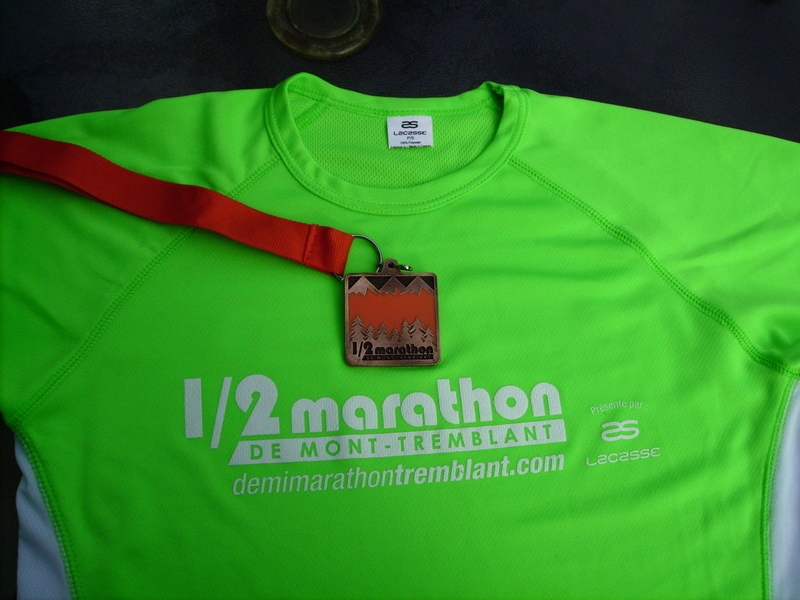 With coffee in hand and a good internet connection I went to the results of the 2013 Mont-Tremblant demi-marathon. Still gently testing my healing knee, pining to do the half but knowing my training wasn’t sufficient, I ran the 10K event. From overall results posted at the finish, I knew I had placed third in AG. AG winners were not announced at the post-race event so I didn’t have information on others who placed. On the Results web page, I keyed into F60+ and saw there were nine women in my age group, and some impressive race times. The F60+ woman in second place, Johanne Fortier, came in at 52:05:6, a good five minutes ahead of my third place finish. Scanning up to the F60+ first place finisher, I see a time of 45:20.9. 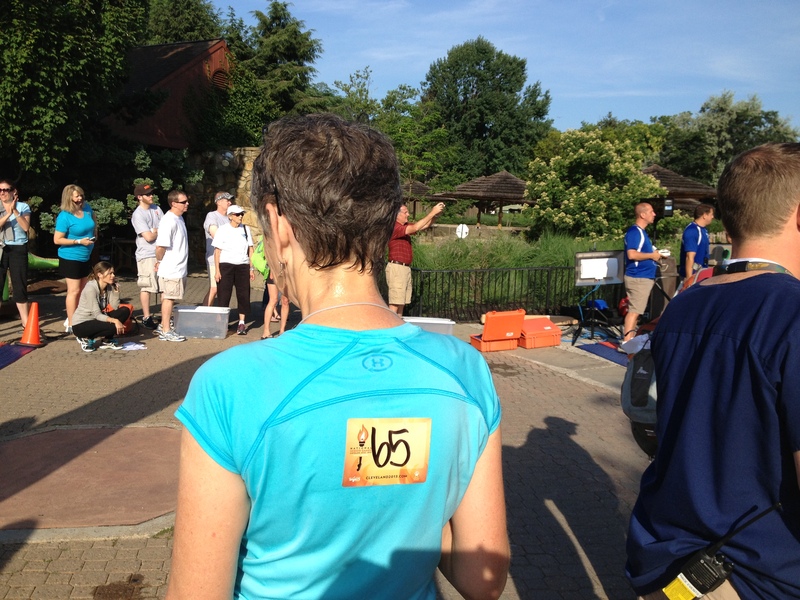 Not only was she first in age group, but 51st place overall and seventh woman to finish. Who is this amazing person? The name is Jacqueline Gareau, hmmm – Jacqueline Gareau, why is that name familiar? 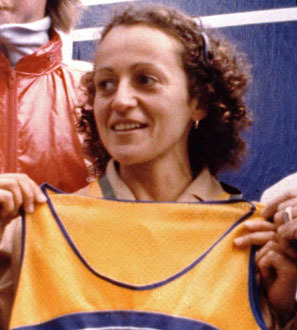 Oh, could it be that Jacqueline Gareau, winner of the 1980 Boston Marathon as well as other marathons, a Canadian Olympian among many other accomplishments? I’m thinking, yes it could. I love this about road racing. You never know who will show up at a race, particularly when you are out of your own stomping grounds and stepping into theirs. There is usually no clear way to know who among the crowd is in your age group and when it will be a running legend. That makes the surprises at the finish all the more awe-inspiring. In addition to sharing an age group, I have something else in common with Jacqueline Gareau. We have both run Boston, the difference being – and its a big difference – she has won the Boston Marathon and I have met the qualifying time to get there. Judging from the philosophy on Gareau’s website, we also share a love of nature and an active life. Senior Games placed our AG on our backs. No mystery about the competition here. 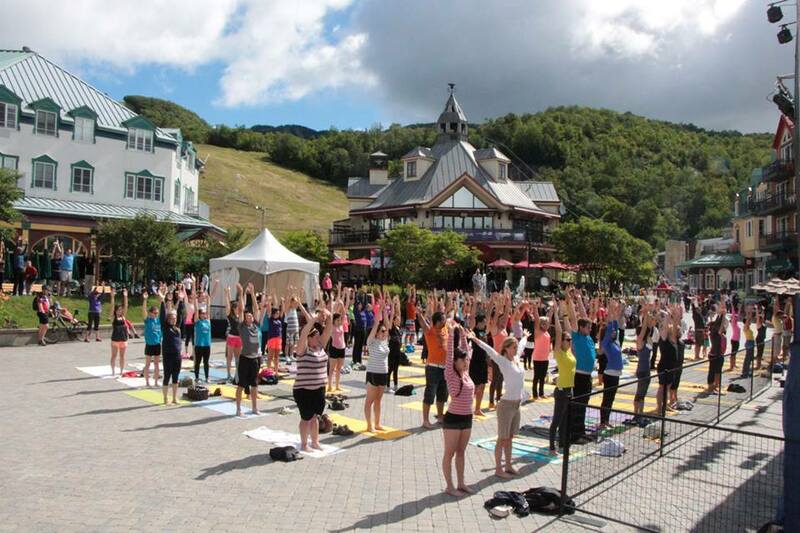 More about the Mont-Tremblant demi-marathon event in a later post, but in the meantime: If you have had age group competition surprises in your races, drop a comment and let me know. Let’s compare notes. I’ve found a reason to write about my 2011 Gansett Marathon. 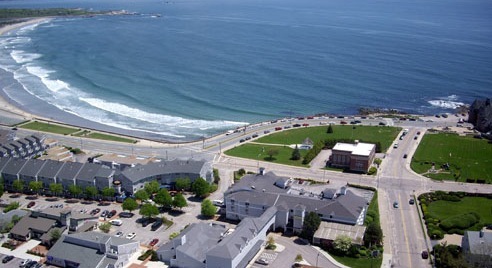 This Narragansett RI race has announced a move of their marathon from April to October 26, 2013. Now, I know it’s August and most marathoners will have targeted their Fall marathon and begun training based on the date, terrain, climate, etc. If you have delayed making that final decision and have a fairly competitive finish time (generally five minutes faster than Boston standards), take a look at Gansett. A fast field of runners: I ran Boston for five years and Gansett appealed to me with its slightly more demanding qualifying time, a small race with a fast field. Well, it was that and more. Looking through the entrants and qualifying races and times, I saw my qualifying time was the slowest among the registrants. Gulp. The field was a bit intimidating, but I was up for the challenge. Minimal morning commute: Get your hotel reservation in early and you can see the start line from your room. 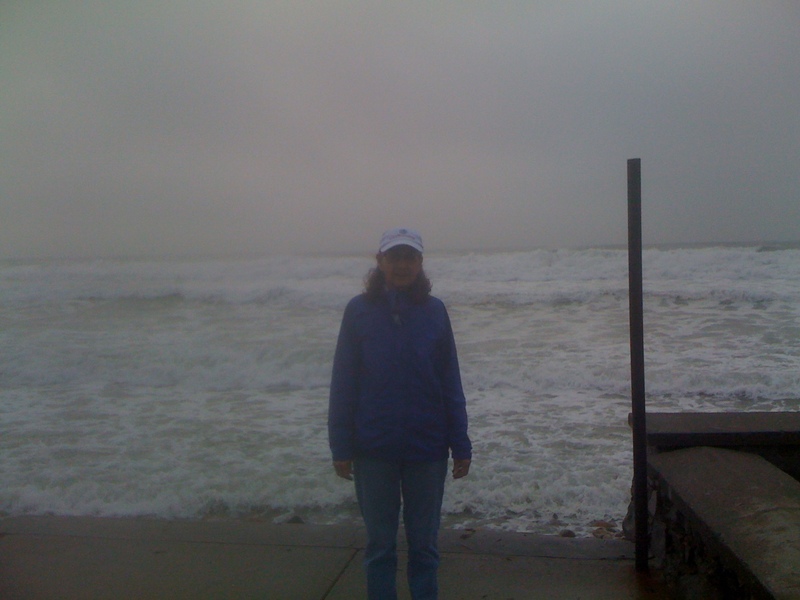 With a Start/Finish near the ocean in Narragansett, we stayed at the Village Inn with a 2-minute walk to the start. The Village Inn is a friendly hotel and convenient at the finish as well since race awards, post-race food etc. are held there. Scenic course: Much of this course is right along the ocean. This can mean strong winds as it did in the Spring of 2011. My experience with training runs against the wind tunnel known as the Susquehanna River were perfect preparation for this race day. There are also beautiful seaside homes, a couple of miles through a wooded area, a brief portion of working harbor facilities and also a short stint near a busy shopping area. There is opportunity for wildlife spottings. We saw deer, wild turkey and a number of shore birds while driving some portions of the course pre-race day). Course Monitors who know their stuff: The Narragansett Running Association in general exudes no frills but friendly runners and knowledgeable volunteers. As I ran by the the course monitor just past Mile 15, he shouted to me “relax your shoulders.” I past the same point, same monitor at Mile 25. He thankfully wasn’t shouting the typical ‘you’re almost there’ but instead prompted several runners as we went by: “I know you’re hurting but you can hold your pace. Just hold on.” OK, if I had found this guy at the finish I would have hugged him and then asked if he had any client openings on his coaching schedule. 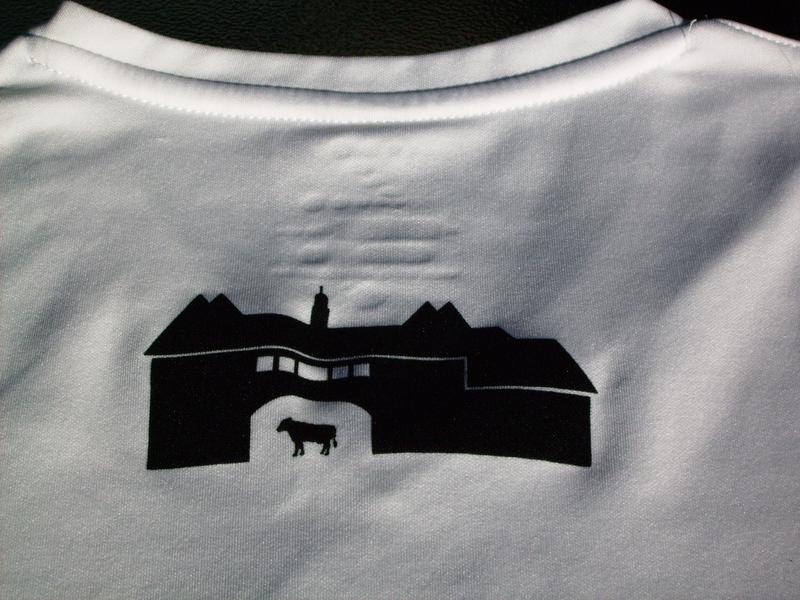 Quality shirts and age-group awards: I’m still wearing the shirt on a regular basis. Thankfully, Gansett offered women’s sizing. The finisher patch is in use as well, sewn over a frayed knee on my work jeans. As it turned out, I had a good day finishing first place in AG 60-64 (4:15 finish), and one of the most beautiful awards I have received at a race. While I give away a number of awards and arrange to have others recycled, this glass ship stays on my bookshelf. I expect that shirt styles and awards vary each year, but I have no doubt they will continue to be quality selections. 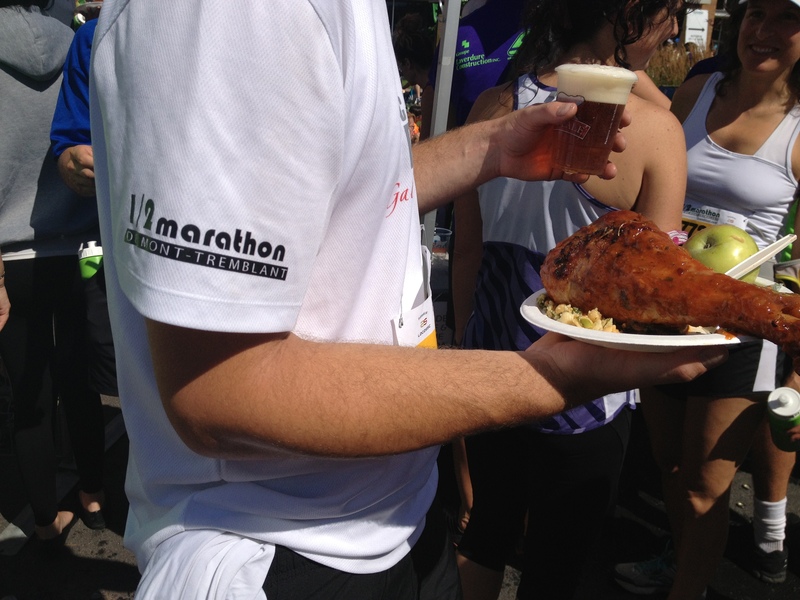 Post-Race Party: There is an opportunity to talk with other runners and raise a glass to our good fortune to find this marathon. I was motivated enough that walking up a flight of stairs to Simon’s Lounge on my post-marathon legs was a mere inconvenience. 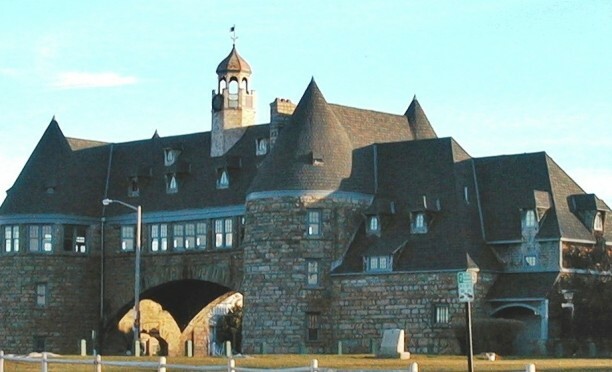 Ocean states have great food: Along with the wonderful seafood chowder you would expect along the New England coast, there are fine dining choices in Naragansett to be enjoyed. My favorite meal, however, was breakfast at the Bluebird Cafe in Wakefield RI. Their entire menu has a bit of a southwestern flare and is completely from scratch. With four people in our party, we each ordered something different and all was delicious. Three years later, I remember my choice: a build-your-own omelet with yellow grits on the side. I could taste the freshness and quality. A fantastic food finale to a great Gansett Marathon weekend in Rhode Island. Saturday Race Day: Saturday destination races are hard to find. The advantage is a day to recuperate, sightsee or have a more relaxing travel day after a good night’s sleep. If any of this suits your taste and qualifying time, check out their Facebook page for updates, give it a shot and report back.